The position was created as a result of combining the research and graduate studies functions at Missouri S&T. Dr. Mariesa Crow, the F. Finley Distinguished Professor of Electrical and Computer Engineering, currently serves as vice provost for research and sponsored programs, and Dr. Venkat Allada, who led graduate studies for more than a decade, now serves as an advisor to the provost to assist with the transition to the new position. As dean of engineering at UNT since 2008, Tsatsoulis focused on growing the college at the undergraduate and graduate levels, increasing research, and strengthening outreach. Under his direction, the college more than doubled undergraduate enrollment, increased retention rates and increased the percentage of women enrolled in undergraduate engineering. Tsatsoulis also established new academic programs, including the department of biomedical engineering, an executive master of science degree in computer science, and Ph.D. degrees in mechanical and energy engineering and electrical engineering. He established an engineering research office to support the college’s research efforts, increased research awards from $3.5 million in 2008 to $11.16 million in 2017, and increased the faculty from 67 to 102. During the 2015-16 academic year, Tsatsoulis also served as interim dean for UNT’s Toulouse Graduate School. Prior to joining UNT in 2008, Tsatsoulis was chair of the University of Kansas’s department of electrical engineering and computer science, a position he’d held since 2004. He joined the University of Kansas as an assistant professor in 1988 and was named associate professor in 1993 and professor in 1999. 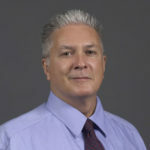 He also served as interim chair of electrical engineering and computer science from 2003-04 and director of the Intelligent Systems and Information Management Laboratory at the University of Kansas from 1997-2003. Tsatsoulis earned a Ph.D. in electrical engineering from Purdue University in Lafayette, Indiana, in 1987. He also earned master of science and bachelor of science degrees in electrical engineering from Purdue in 1984 and 1983, respectively, and a bachelor of arts degree in German from Purdue in 1987. Tsatsoulis’ research focuses on multi-agent systems, case-based reasoning, machine learning and intelligent image analysis. He is the author of 25 journal articles and 79 published conference and workshop papers and is co-editor of the textbook Analysis of SAR Data of the Polar Oceans (Springer Verlag, 1998). He holds one U.S. patent for an automated data entry system. He is a member of the editorial board of the International Journal of Information and Decision Sciences and served in the past as a member of the editorial board of the International Journal of Applied Intelligence from 2001-16, as associate director of IEEE Intelligent Systems from 1994-98 and as area editor of The AI Magazine from 1989-92. 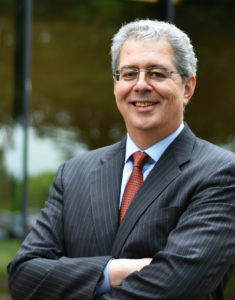 He is a senior member of IEEE and the Association for Computing Machinery, a member of the American Association for Artificial Intelligence, and a member of the IEEE Computer Society. Tsatsoulis comes to S&T as the result of a national search. The search committee was co-chaired by Dr. Stephen Roberts, vice provost and dean of the College of Arts, Sciences, and Business, and Dr. Richard W. Wlezien, vice provost and dean of the College of Engineering and Computing.